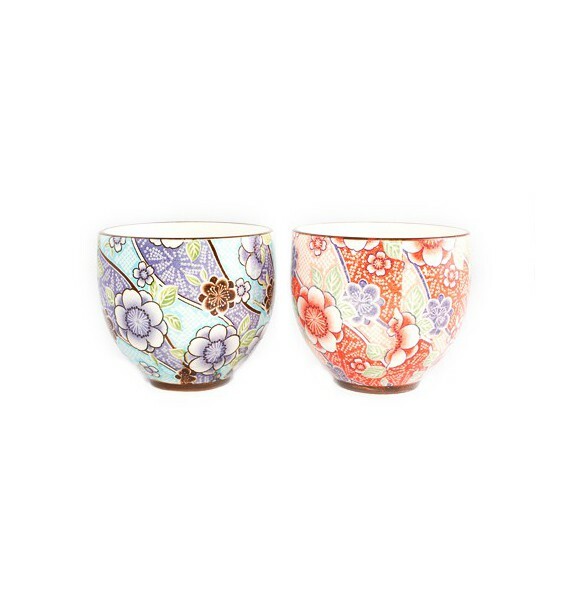 These two gorgeous cups japanese comply with the codes of japanese : they do not have handles. Always in the respect of the culture and tradition of the japanese, they feature sumptuous floral motifs. The vibrant colors are rare, it is opted generally for blue motifs on a white background. Built by japanese ceramics, these cups remain strong and not lose anything of their colour, that you place it in the microwave or in the dishwasher. Thoughts for day to day use, they will be the most beautiful effect on your table, in summer as in winter. Their rounded curves allow you an easy grip and nice, which will give you the warmth so sought after in the winter. But be careful not to burn yourself !